Are You a Victim of Hate Crime? 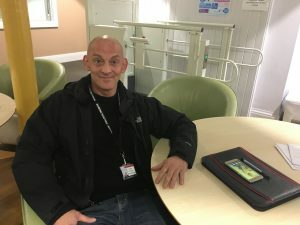 A burglary victim who lost over £30,000 worth of valuables has told how meeting the burglar, Lee Jones, face to face led him to offer support, helping the offender to turn his life around. Richard Quinn who lived in Darwen at the time of the burglary is speaking out to highlight the benefits of victim and offender conferences as part of Restorative Justice Week (21-27 November). Two years after the offence Richard received a phone call from the Restorative Justice Team at Lancashire Constabulary to tell him about the opportunity to meet the Lee face to face. Despite feeling very sceptical to begin with he felt reassured by the Restorative Justice Officer and agreed to go ahead with the meeting. Richard said: “Initially I wasn’t sure about meeting him at all. I still felt very angry and thought I might go into the meeting for the wrong reason. The Restorative Justice Officer did a great job explaining the process to me and convinced me that Lee wanted to change. “Meeting him in person wasn’t what I expected at all. I was surprised by how he looked and how well prepared and articulate he was. He looked me in the eye throughout and I was able to tell him about the effect the burglary had had on me. Lee said meeting with Richard was just one of the things that made him want to change his life. He said: “It made me feel terrible. I felt very remorseful, regretful, ashamed and guilty. The watches I stole had sentimental and should have been passed down. Six months after meeting Lee for the first time, Richard received a letter. In it Lee recalled the conversation they had had in great detail and told Richard that he understands and really regrets the impact he had on his life. Lee was released from Prison in August 2016 having served his sentence and has met with Richard again on two separate occasions. Richard has since offered to support the man with job applications. Lee now works for a charity supporting people with substance abuse issues and has not re-offended since his release from prison. Police and Crime Commissioner Clive Grunshaw is responsible for ensuring Lancashire provides restorative justice services as a means of preventing re-offending: “Richard and Lee’s case is a perfect example of how Restorative Justice can make a major difference to the lives of both the offender and the victim. Phil Cawley, Restorative Justice Manager at Lancashire Constabulary added: “quite simply, the power of Restorative Justice never ceases to amaze me”. Find out more about restorative Justice.